Chess Explained: The Queen's Indian. Type: BOOKS. Detail: Wells, P. Product Code: 9781904600497. You will gain an understanding of the opening and the middlegames to which it leads, enabling you to find the right moves and plans in your own games. It is as if you were sitting at the board with a chess coach answering your questions about the plans for both sides, the ideas behind particular moves, and what specific knowledge you need to have. 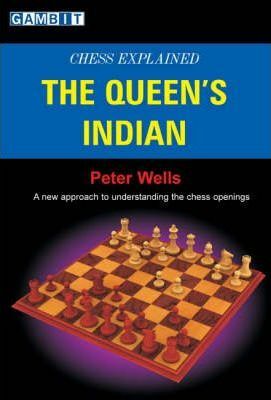 The Queen's Indian is an important and popular opening at all levels of play. Black's flexible stance allows him to choose between a range of solid and dynamic structures. In turn, White can play flexibly, opposing Black's fianchetto, or can try to force the pace in the centre and start a handtohand fight. It is an opening rich in nuances, and many of the modern main lines involve moves that look extravagant, but are backed up by a deep underlying logic. Softback 128 pages.